“15 Questions with…” is an ongoing series of interviews with some of the most interesting people in our industry. Rebecka joined Ferrari-Carano in 2004 as an Enologist, but it all began at Humboldt State University where Rebecka studied Cellular and Molecular Biology and originally planned to be an optometrist. After graduating in 1997 with a Bachelor of Science degree, Rebecka quickly changed her focus to winemaking. In 2000, Rebecka broke into the world of winemaking as an intern at Jordan Winery and was shortly hired on as a full-time lab technician, followed by a promotion to Assistant Enologist. After four years, Rebecka joined the Ferrari-Carano team which led to a promotion as Assistant Winemaker. By 2012, Rebecka had completed the University of California Davis Winemaking Certificate Program and was Ferrari-Carano’s Associate Winemaker overseeing the Pinot Grigio and Zinfandel Wine Programs. In early 2014, Rebecka was promoted to Associate Winemaker overseeing Ferrari-Carano’s Red Wines Programs, including Ferrari-Carano’s PreVail wines, and the mountain winery production facility in Alexander Valley. The predicting and planning involved in choosing the perfect moment to harvest the grapes at optimal maturity with weather and logistics as variables. 2) How did you first get into the industry? I started as a harvest intern in the lab at Jordan Winery. Love at first crush! 3) What’s the most rewarding thing about your career? After all the hard work involved in making a bottle of wine, it is a good feeling to be able to relax with friends and family, sharing and enjoying a bottle of wine that I helped create. 4) Who are the people in your industry that your most admire? Rob Davis, the winemaker at Jordan winery, for his sharp mind, many years of winemaking experience, and remarkable storytelling abilities. I developed a solid foundation to build upon working under Rob’s guidance. 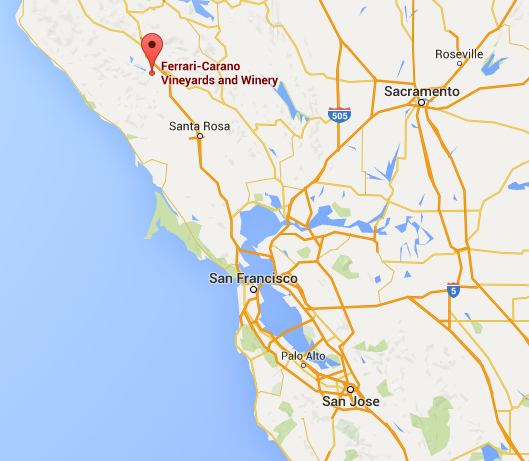 Don and Rhonda Carano, the owners of Ferrari-Carano. They have both worked hard to establish a successful winery and continue to work hard with a relentless pursuit to create the best wines. 5) What’s your favorite childhood memory? I grew up in a small town and my dad would walk home from work for his lunch hour. During the summer, my mom, two brothers and I would walk downtown to meet him and walk home with him. Makes me feel happy remembering those times! 6) What are your favorite books or movies? Jane Austen’s novels and, for some reason, I always enjoy watching “Tombstone” – love Val Kilmer as Doc Holliday. 7) What your most listened to Spotify/Pandora/Sirius station? Whatever the lab is listening to. The lab is right next to the winemaking office. It is quite an eclectic mix! 8) If you weren’t making wine, what career would you have? I originally planned to become an optometrist, so probably that. 9) What advice would you give to people who wanted to get into the industry? We hire extra help in the winery every harvest, so I would recommend working as a harvest intern, as I did. If you enjoy the bustling energy in the air, long hours, and hard work during harvest, then it just might be the perfect job for you! 10) What’s your dream vacation? I would like to travel to France with my husband to attempt some of the mountain passes that the pro cyclists ride during the Tour de France. After the ride, we would relax, eat good food, and drink some tasty wine. 11) What’s your biggest guilty pleasure? Shelby’s treats! Shelby, one of the winery’s lab technicians, is an excellent baker, specializing in cookies and cupcakes. 13) If you were stranded on a deserted island with only one drink (not your own brand), what would it be? Sparkling wine! I would like a magnum of J vintage brut. My husband works there, so I could connect with his spirit in the bubbles! I cannot imagine myself on a deserted island without him! 14) What person has been most influential in building your career? 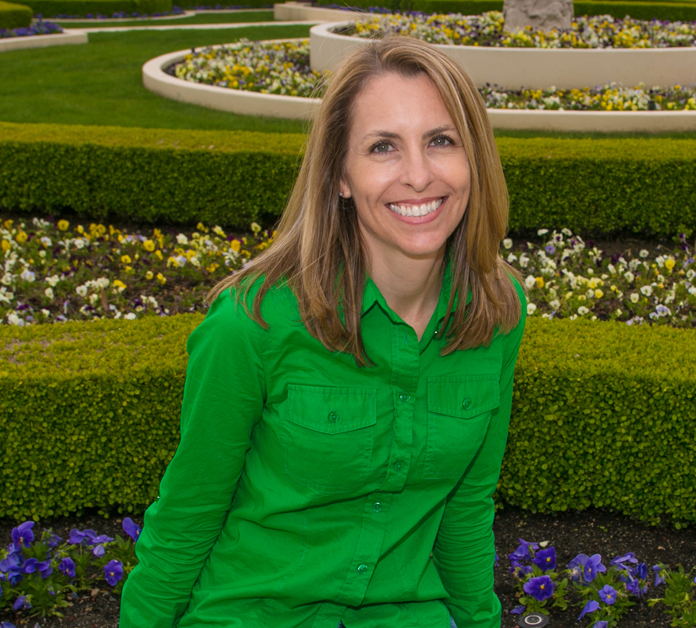 Sarah Quider, Ferrari-Carano’s executive winemaker. I have worked directly with her for 15 years, following in her footsteps, (sometimes literally in the vineyard! ), learning from her every step of the way. She had confidence in my abilities to elevate me to the position I am in today. 15) Where do you see yourself and your brand in 5 years? In 5 years, I hope to still be working for Ferrari-Carano, making some fabulous wines with our more recently planted vineyards, while continuing to maintain the outstanding quality of our existing selection of wines. Want to try some of Rebecka's wines? You can now buy them online and pick them up in store! This entry was posted by Seth Barlow in Uncategorized and tagged 15 Questions, Anderson Valley, by Seth, California, Ferrari Carano, Interview.